^ a b Todorov, N. P. (2012). 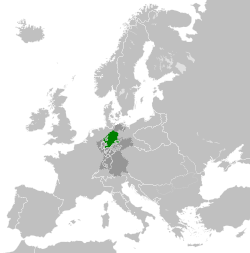 "The Napoleonic Administrative System in the Kingdom of Westphalia". In Broers, Michael; Hicks, Peter; Guimera, Agustin (eds.). The Napoleonic Empire and the New European Political Culture. Palgrave Macmillan. p. 175. ISBN 978-0-230-24131-2.